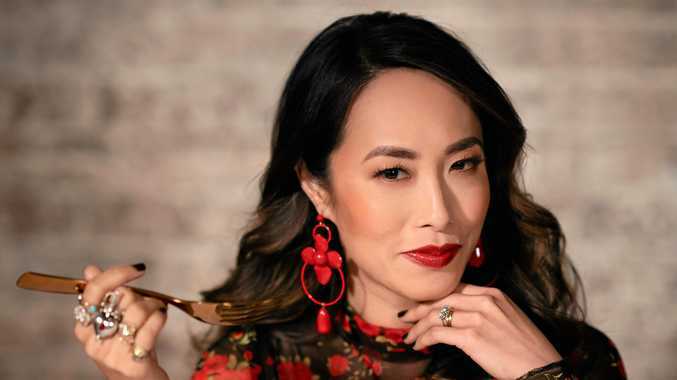 Food writer Melissa Leong is a judge and co-host of the TV series The Chefs' Line. IN THE production office for The Chefs' Line, there's a display known as the 'wall of love'. The feel-good cooking show pits home cooks against professional chefs and their staff in a friendly competition themed around a different cuisine each week. There's no cash prize, unlike most of the other reality cooking shows on TV. "We have a wall of love in the production office where we display the messages home cooks have sent us," judge and co-host Melissa Leong tells The Guide. "They send us cards, flowers, emails. It makes every single member of the crew so happy people have such a good experience being on the show. "The competition structure itself is extremely low stakes, It's just a format people understand and it allows us to be able to showcase people's multi-generational recipes. It's a show that celebrates food, cultural diversity and love in equal doses." 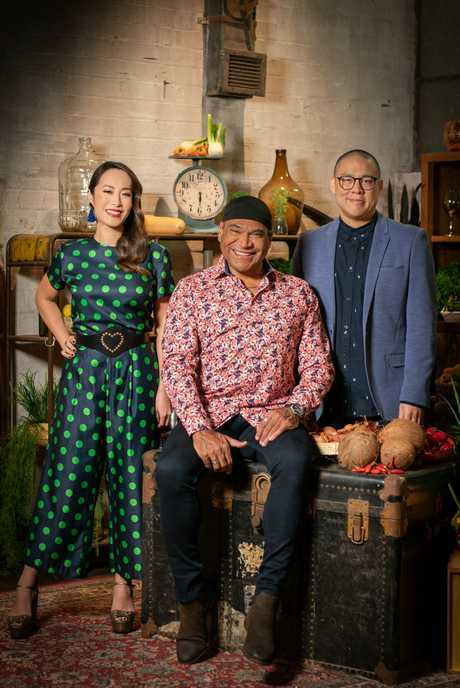 Leong, a Melbourne-based food writer and journalist, hosts the series, now in its second season, with chefs Dan Hong and Mark Olive. Knowledgeable, glamorous and respected in the industry, she seems made for TV. But Leong says she never considered a role on the small screen until she was asked to audition for The Chefs' Line. "People had suggested I look into it over the years, but to be honest I never really sought out television,' she says. "Paul Franklin, the CEO of Eureka Productions (and the key creative architect behind MasterChef), pitched me the idea and asked me to sit in on this chemistry test. I walked into this green room there was Poh (Ling Yeow) and Adam Liaw and Maeve O'Meara. I just laughed and thought 'I'll never get this'. I joked about drinking gravy and all sorts of things and apparently that's what they were after." Falling into food writing "accidentally" after working in advertising, Leong is a voice bridging the old and the new. While she champions the 'old school' values of fine dining, she also embraces social media and inspires home cooks on her podcast What the F is for Dinner. "My parents come from Singapore, so that was my initial qualification for knowing anything about food. That's just the way you're brought up - you learn how to eat and shop," she says. "Then when I started working as a freelance journalist and food writer, it really consolidated a lot of who I was. I've always felt easy talking about food so to be able to communicate about food in that capacity has been the greatest joy of the last decade of my life." Next week, The Chefs' Line will showcase Mexican food, a cuisine which continues to gain popularity in Australia. "Mexican week goes into an all-out colourful fiesta. There's singing and taunting and lots of yelling in Spanish," she says. "For the longest time what the general Australian public thought of as Mexican was Tex Mex, but now we're understanding the regionality of Mexican food a lot better. 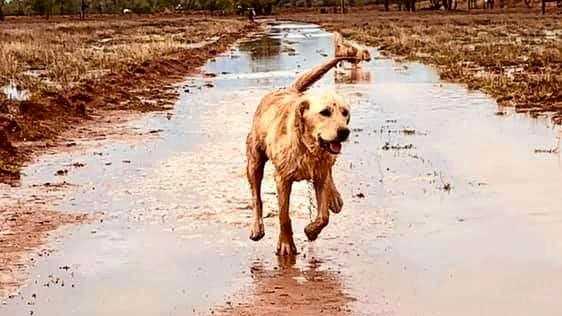 It suits the Australian climate so well ." The Chefs' Line airs weekdays at 6pm on SBS-TV.